Dan John Miller is an American actor and musician. In the Oscar-winning Walk the Line, he starred as Johnny Cash's guitarist and best friend, Luther Perkins, and has also appeared in George Clooney's Leatherheads and My One and Only, with Renee Zellweger. 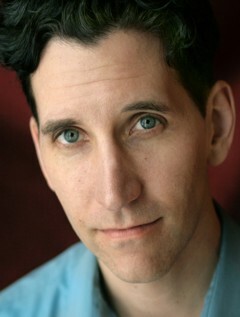 An award-winning audiobook narrator, Dan has garnered multiple Audie Award nominations, winning for The Wrecking Crew by Kent Hartman; has twice been named a Best Voice by AudioFile magazine; and has received several AudioFile Golden Earphones Awards and a Listen-Up Award from Publishers Weekly. He has narrated books by Pulitzer Prize–winning author Philip Roth as well as by Pat Conroy, Andre Dubus III, John Green, Nora Roberts, and Dean Koontz. Dan lives in the Detroit, Michigan, area with his wife, Tracee Mae, and their daughter, Frances Rose.